As you know, Capacitors are inevitable parts of an electronic circuit, without which the circuit design is incomplete. Different types of capacitors are used in electronic circuits; each performs a function in the circuit. But basically, all the capacitors act as energy storing and transferring devices. Let us discuss the capacitor types, identification methods and functions. Capacitor is a device that stores electrical energy in its plates. The capacitor has two electrodes separated by a “di-electric material” which stores energy when the capacitor is charged and release energy when the capacitor is discharged. Basically, the capacitors are used in three functions. 1. Smoothing – To removes the ripples from the power supply. When we make a Low volt power supply using transformer, its secondary coil produces low volt AC. 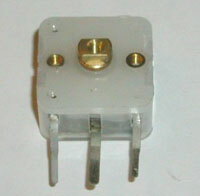 To convert this low volt AC to DC, a Bridge rectifier is used. But the DC coming out from the Bridge rectifier will have some fraction of AC. This must be removed to get the clean DC. So a Smoothing Capacitor is used. Its voltage rating must be minimum 2 or 3 times higher than the DC voltage. For example, if the DC is 12 volts, the capacitor must be a 25 Volts or higher. The value of the capacitor is also important. For clean smoothing, a high value capacitor like 470 uF or 1000 uF is a must. In Audio circuits such as amplifiers, it is good to use a very high value capacitor such as 2200 uF or 4700 uF to reduce the hum from the speaker. 2. 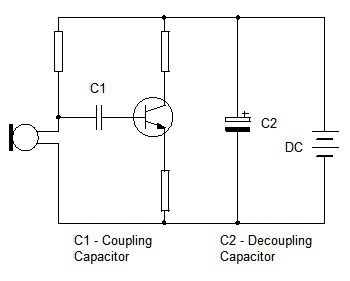 Coupling – This is the transfer of energy between two “circuit nodes” using a capacitor. It is mainly used in audio circuits and radio circuits. This coupling capacitor passes only AC and blocks DC. So the capacitor is called “AC Coupling capacitor” or “DC blocking capacitor”. 3. De coupling – This is the method by which one part of the electrical circuit is “decoupled “from the other part. For example, positive rail and negative rail. 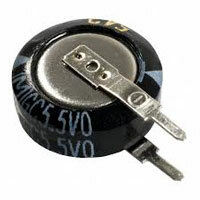 This capacitor is also known as “Bypass capacitor”. Its main function is to remove noise from the power supply and from the points where IC, Transistors etc are connected. How to identify the capacitor? Capacitor identification is easy because the value and working voltage will be printed on its body. This is much easier in Electrolytic capacitor. The electrolytic capacitor is “polarized” (one electrode is positive and the other negative) so it must be connected only with correct polarity otherwise, the capacitor will explode. 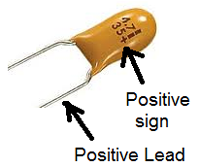 The positive and negatives leads of the electrolytic capacitor can be easily identified. Long lead is positive and short lead is negative. But is some makes, both the leads are equal in length. So it will have a “band” marked on the body. The lead close to the band is negative. It is Non-polarized, so can be connected either way round. But it is bit more difficult to identify its value since only a number is printed on its body. No problem, there is a trick. Suppose the number 105 is printed on it. This means 10 + 5 zeros. That is 10,00000. Which means 1.000.000pF or 1000 nF or 1 uF. 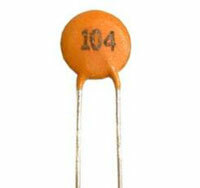 Another example is the common 104 capacitor. It is 1.000.00 pF or 100nF or 0.1uF. Similarly, 103 is 0.01uF and 102 is 0.001uF. 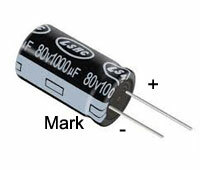 In some capacitors, the value is printed as 0.1,01,001 etc. It is nothing but the value in uF. In some other capacitors, an alphabet is also printed along with the number. This alphabet represents its “tolerance”. That means, the value may change + or – 5%. For example, 474 J which means 47+0000. That is 47.000pF 5% or 470nF or 0.47uF. It is highly accurate in its value and performs well. 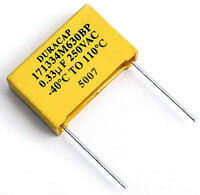 Tantalum capacitors are ideal in Timer circuits and sensitive circuits to prevent false indications. 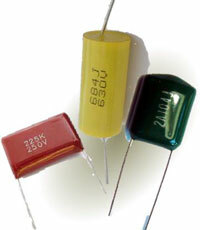 Tantalum bead capacitors are made up of “Tantalum peroxide”. Unlike other disc capacitors, tantalum capacitors are “polarized”. There is a + sign and bands near the positive lead. So it must be connected with correct polarity. 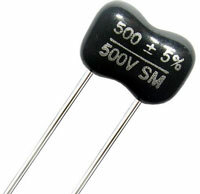 Electrolytic capacitor – It contains an electrolyte salt. Aluminium electrodes are used. Super capacitor – Electric dilayer capacitor that can store huge amount of energy like a battery. Its value is very large like 470,000 uF. It is polarized and great care must be taken in its use. Since it charges heavily, some parts of the circuit may get damaged. Polyester film capacitor – It uses thin Polyester film as dielectric. Polypropylene capacitor – It uses Polypropylene film as dielectric. Only very low values are available. Polystyrene capacitor – Copper or Aluminium foil is used as di electric. Good for timing and filter applications. 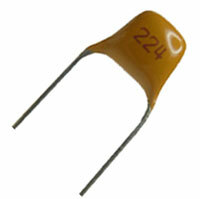 Metalized Polyester capacitor – Dielectric is Polyester. It is also called “ Mylar Capacitor”. Ceramic disc capacitor– Dielectric is Ceramics like Titanium acid barium. Typically used as Coupling and De coupling applications. Silver Mica capacitor – Dielectric is Mica. Used in resonance and frequency filter circuits. 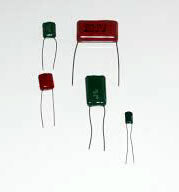 Adjustable capacitors– These are also called as “Trimmer Capacitors”. The capacitance can be varied by rotating its shaft, hence the name “Variable Capacitor”. It is used in Radio tuning circuits. The different values can be easily identified by the colour painted on its screw or body . Yellow ( 5pF), Blue(7pF) , White ( 30pF) , Green ( 30pF) and Brown ( 60pF). Tuning Air core capacitor – It uses the surrounding air as dielectric. It is also called as “ Gang capacitor”. Used in AM and FM radio circuits. It has many leaves and the leaves “ ganged” when the knob is turned thus changing the capacitance.